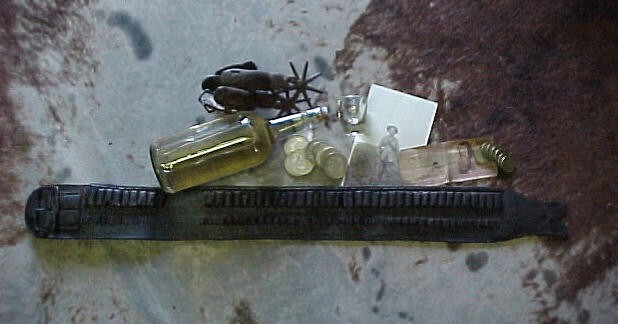 This genuine Mexican Revolution Gun Belt is hand stitched as close up shows. Many of the bullet loops are missing, broken or coming apart. The length is 33 1/4"inches and end is missing by 3 1/4"inches wide. Great Collectors historical piece. 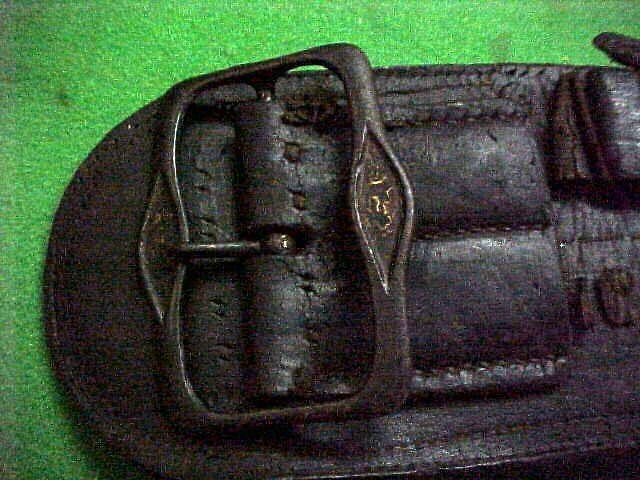 This genuine Mexican Revolution Gun Belt is hand stitched as close up shows. Many of the bullet loops are missing, broken or coming apart. The length is 33 1/4"inches and end is missing by 3 1/4"inches wide. Great Collectors historical piece. Please email cowboyron@cowboycabin.com with questions or call 406 270-2842.